The Suffolk countryside lends itself perfectly to losing yourself in a view through a glazed screen. At TD Joinery, we are able to supply large screens, completely erected and ready to install on delivery. We can deliver by trailer or HGV, depending upon the size required. 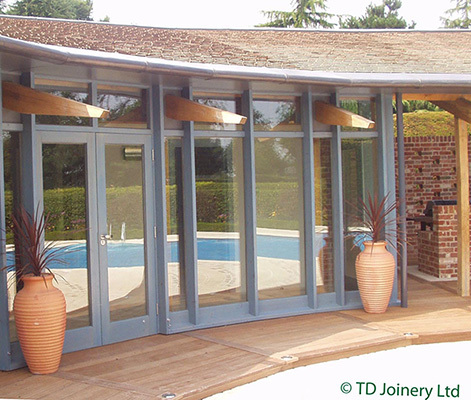 Available in any timber requested and any style required, glazed or unglazed. As with all of our products, these screens are bespoke and created to order.